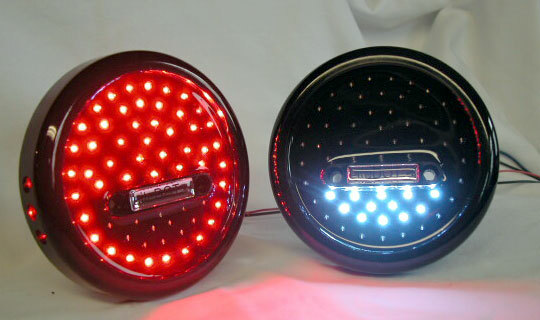 Off Road Only's unique taillight option, incoropating stop, tail and turnsignals with a reverse incidicator and side marker lights, allows for a simple one part replacement option for the boat trailer Jeep style taillights. These units are contructed of the highest quality, and are nearly indestructable, as well as water proof! Also, don't forget to check out ORO's LED license plate lighting option as well! 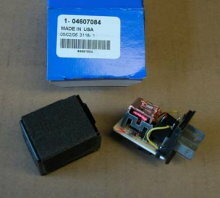 Single piece unit encompasses Stop/Tail/Turn function as well as Reverse Indicator and a Side Marker Light . 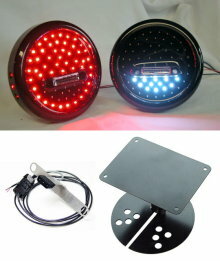 Each housing has 63 LED's; 48 red, 12 white, and 3 red side markers. No drilling required on Jeep Wranglers and CJs+. Low profile design measures less than 1" thick. Taillights are black when not lit. Clear acrylic lens and high intensity LEDs deliver crisp, sharp light. High impact Polycarbonate housing provides extreme durability. UV stabilized housing and lens resists discoloration. Adhesive reflective material included to allow user to comply with most vehicle regulations. Sealed, shock and vibration proof solid state design for years of reliable service++ . Heat shrink connectors included for wire connections to OEM harness. Warranty: Unit replacement if one LED fails within 90 days or 3 LEDs fail within 12 months. + Models other than Jeep Wrangler may require drilling to attach. OEM license plate mount on Jeep TJ’s may require trimming to clear the outer diameter of LiteDOTs™. ++ Service life is rated at 100,000 hours. +++ A flasher replacement may be required to eliminate "Fast Flash". Some flasher models available separately. 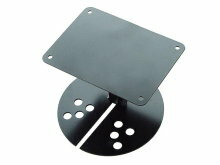 Additional License Plate/Third brake lite combination also available.